Discussion in 'Transformers Toy Discussion' started by AnonymousDwell, Jun 7, 2015.
debating to myself if i really need the elbows and minor paint differences. hes only going to be separate for a whole 10 minutes when i get him, so i guess its going to come down to price difference. If hes more than 200 ill probably pass and gett the hasbro one. So are these Takara "elbows" prototypes still? 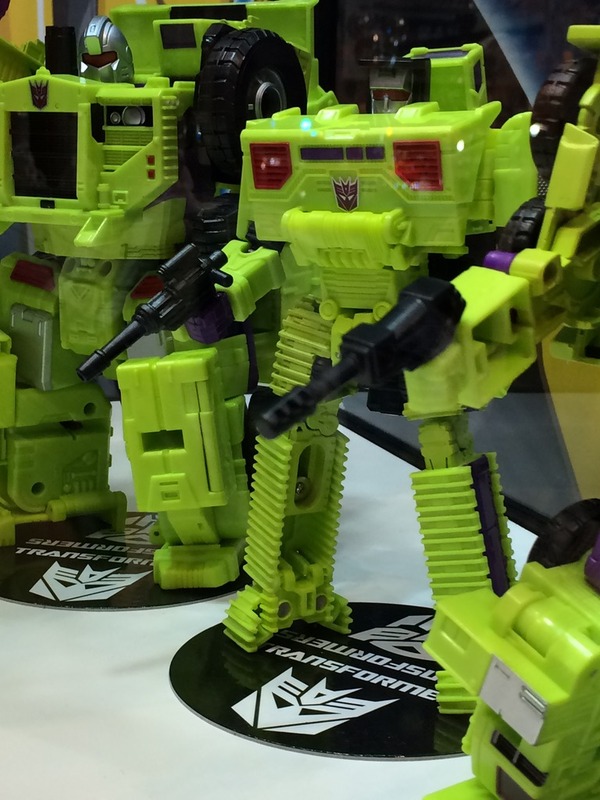 The green looks slightly off in some of the close up pictures, especially Scrappers. Thanks to Scypris for finding it, here is a video showing the Takara Unite Warrior Devastator's head with his retractable Visor at 4:30. Adding that to the front page, thank-you! Looks like the lighting and shadows to me, but I could be wrong of course. I have no doubt the colors will be consistent upon release if so, though. Okay. That has settled it. I'm going for UW Devastator. Just an all around better figure. •Scrapper now has functional elbows. 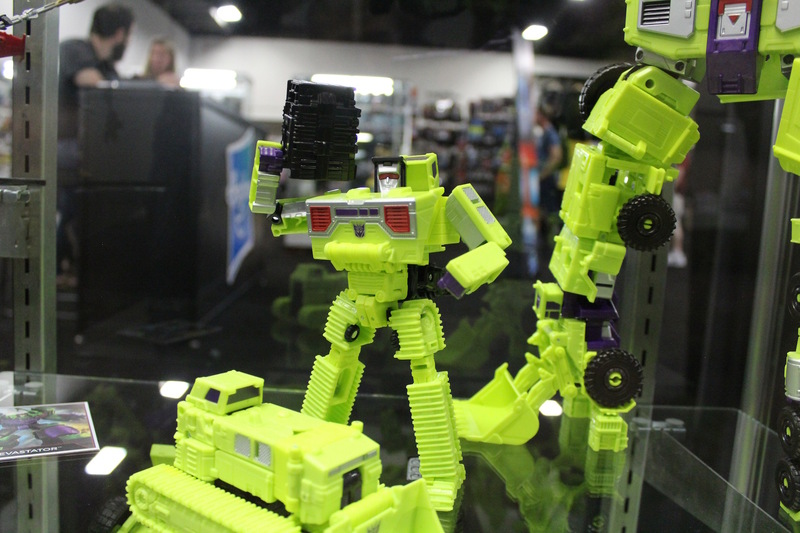 I could be wrong, but I think there might be some retooling on Bonecrusher's (and by extension, Scavenger's?) legs. Comparing pictures of the two the knee joints look different. Kinda like Takara went for a hinge + swivel approach instead of Hasbro's balljoint. They even share the painted resin look the other new parts have. Also just noticed... painted rims! Oh wow, you're right, they do look different. How can you see? The picture of the Hasbro figure is too saturated for me to distinguish anything on the knee. Welp, would have been more obvious if LoC Soundwave had picked an image of hasbro figure with bended knee. Yeah, those joints definitely do look different! I wonder what the rationale for that was. Maybe it makes them more inclined to stick together in combined mode so that they don't tend to bend when posing the arms? The wheels also appear to be purple instead of green. Nice touch. 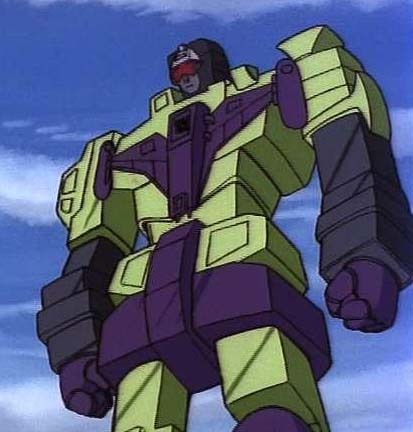 •Bonecrusher (and presumably Scavenger) have different knee joints. Hands, purple hands, not arms. His arms are green, because they are made of Constructions. Yeah, I know. Sleepy when written. Will edit. Am I the only one that prefers ball joints? They're far easier to mend when the time arrives for the loosey loosey. At this point, I think it is a wise decision to just wait for Takara to release every CW figure as a UW figure. No kidding. Since Superion got unveiled with Slingshot this is what I've been basically doing. My patience is getting tested really hard. You should precise the time in the video to see the retractable visor is around 4:30. You sound like a lecturer. Thanks for posting these. I agree, when compared to the cartoon, he looks amazing. Amazing! These little touches make all the difference. The painted rims look so much better! Incredible. Although I'm guessing this will also be on the Hasbro version? Perhaps not. That's okay if it improves the usefulness of the thread. EDIT: Done, and also added an image of the forehead being raised to reveal the visor functionality.